Speed of action, manoeuvrability and laser precision along with a strong strike are the advantages that ensure an advantage in the world of games, especially racing games. The Skipper racing wheel has something of a deadly bullet. 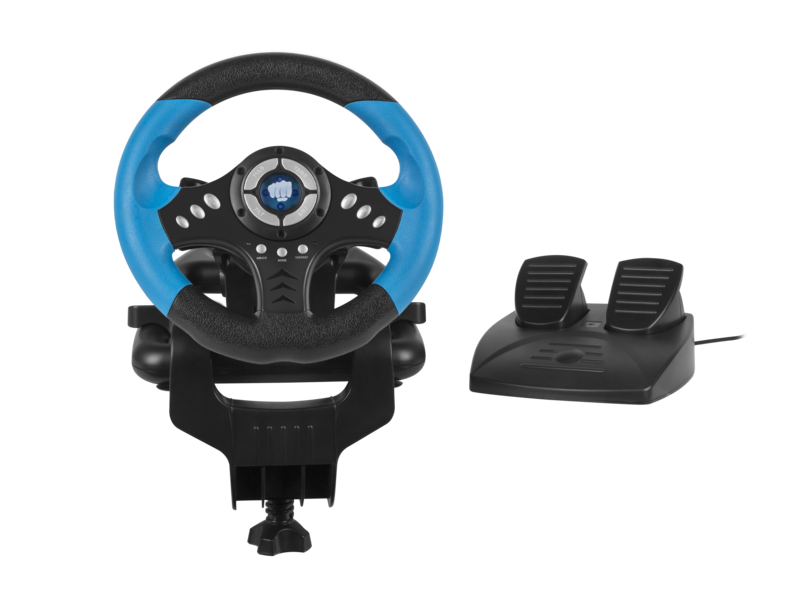 The large range of racing wheel movement, programmable buttons, good-quality analogue pedals and convenient shifting of gears will allow to win each time on every virtual track. 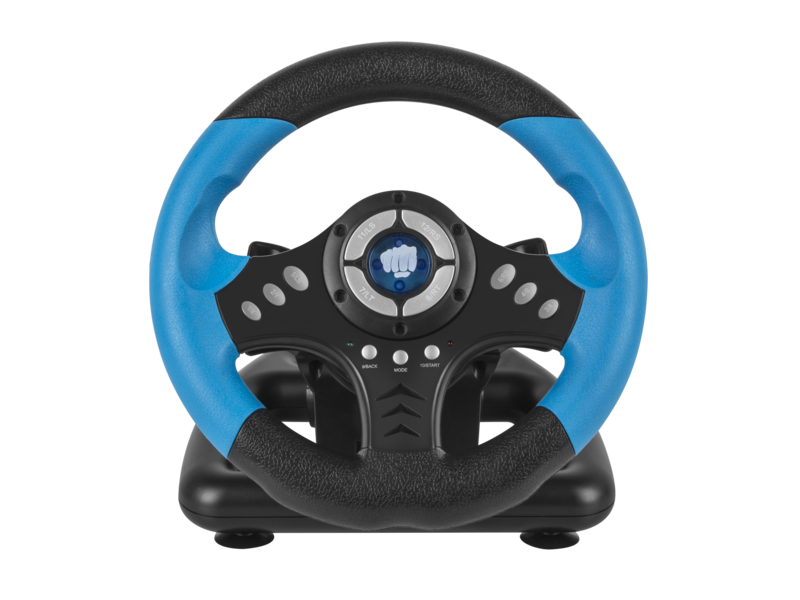 Fury Skipper is a racing wheel that is a perfect option for players who like fast driving and impressive racing. 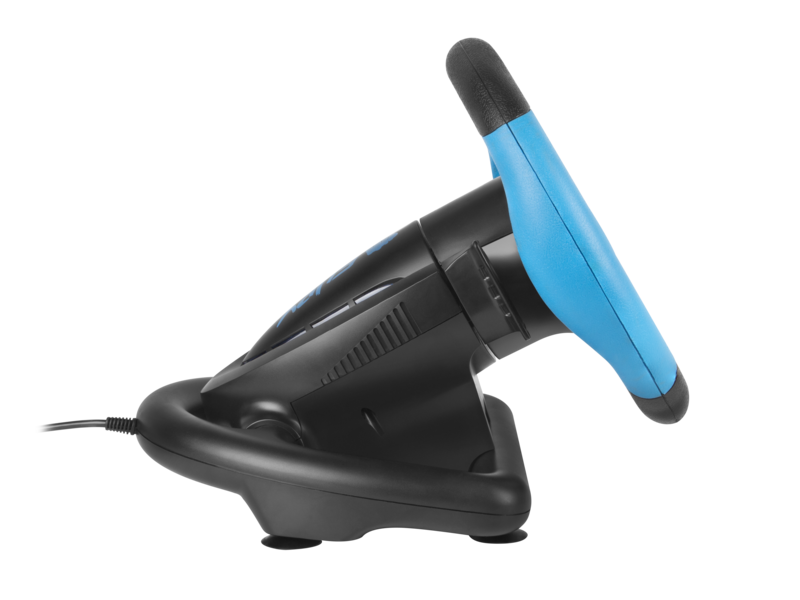 Programmable buttons allow personalisation of settings to the individual needs of the driver, which directly translates into the performance achieved during the race. The comfortable eco-leather racing wheel with the optimal size of 9.5 inches and 180-degree rotation allows for precise and, more importantly, fast cornering. In a situation where more dynamic movements are required, the mounting bracket included in the set will make the racing wheel manageable. The racing wheel is fitted with analogue pedals. The gearbox in the form of blades located near the racing wheel is both a convenient and functional solution - the user can shift gears quickly and precisely like in a high-class racing car. Agile, fast and versatile, and when the need is capable of sacrifices, Fury Skipper is welcome in every elite ward.